Does salt really make you thirsty? Researchers recently looked at how salty foods impacted fluid intake during a simulated mission to Mars. The results are not what you might expect. Not only did participants on a high-salt diet drink less fluid, but their bodies also produced more water and they felt hungrier. Salt makes you thirsty. That’s a given, right? Up until now, aerospace research teams recommended astronauts be given low-salt diets during long expeditions in order to save water, but researchers from the German Aerospace Center (DLR), Max Delbrück Center for Molecular Medicine (MDC), and other organizations have results from two studies that suggest otherwise. The research team joined up with Russian space agency Roskomos and their European counterpart, ESA, for a long-term study under simulated conditions of a Mars mission. Both the nutrient and liquid intake of the ten participants and their excretions were closely monitored for 105 and 205 days. One month into the study, researchers reduced the participants’ salt intake from twelve to nine grams per day. Two months in, they reduced levels once more to just six grams. Levels of salt intake were then gradually increased again in the 205-day study. The results of the study showed that saltier foods only made participants thirstier in the short run. They actually drank less in total when they consumed greater amounts of salt. Table salt, also known by its chemical name sodium chloride (NaCl), is an important compound for our bodies. Sodium is not only involved in regulating blood pressure but also plays an important role in transmitting nerve impulses. Thus daily intake is absolutely essential. It will come as no surprise that salt is present in ample amounts in many of today’s industrially processed foodstuffs. The World Health Organization (WHO) recommends we consume no more than five grams per day, but that doesn’t stop many of us from shaking the salt shaker at mealtimes. 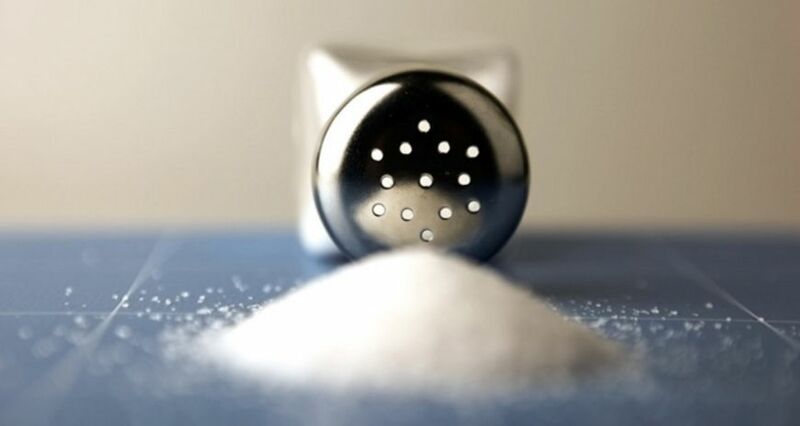 In our current understanding, overdoing it on salt is associated with high blood pressure and cardiovascular disease. In order to maintain balanced sodium levels, the body naturally bonds excess salt with water and excretes it with urine. Thus the logical conclusion: More salt means the body needs more water, so salty food makes you thirsty. The researchers weren’t the only ones taken aback by the results of the new study. According to Luft, reviewers at the Journal of Clinical Investigation (JCI), the biomedical research publication where the study was published, had their doubts and follow-up studies on animal models were deemed necessary. “Water homeostasis, or balancing water in the body, must be viewed as a joint task of the liver, muscles, and kidneys,” says Jens Titze, principal investigator of the second study and professor at the University Hospital Erlangen-Nuremberg and Vanderbilt University in Nashville, Tennessee. Results of the second study indicate urea could play an essential role in the body’s water regulatory system. Urea is created in the liver and skeletal muscles of many organisms and is generally considered a breakdown product of metabolic processes. Urea synthesis is a very energy-intensive process. This was reflected in the reports of the first study participants who complained about feeling hungry on the saltier diet, as well as by the food intake of the animal models. The mice had to be given 25% more calories to maintain a stable weight. However, before we all start running for the salt shaker, a word of caution: These results still need to be replicated in subsequent studies. If studies confirm the researchers’ new theses, however, it could mean the body’s regulatory system for salt is vastly more complex than previously thought. In that case, the association between too much salt and risk of high blood pressure and cardiovascular disease may also warrant reexamination through a new lens.